USDCAD is going down both descendant channels one marked in green and the other in red moving within the neutral zone which indicates further downward trend is expected for at 1.2856. The pair is finding support at 1.29460 with resistance at 1.30300 both below the monthly pivot point at 1.31360. 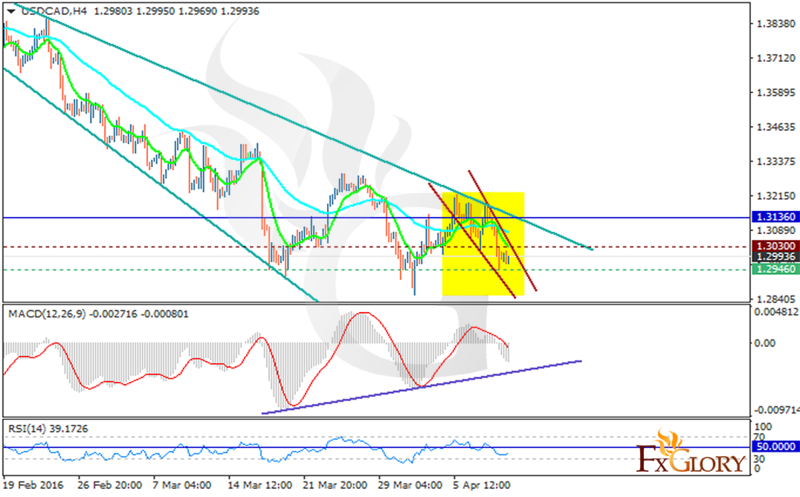 The MACD indicator is in negative territory signaling the decline continuation and the RSI is below the 50 level. Price consolidation is expected for today while deeper fall can reach 1.2671.